UPDATED 8/16/2017, 10:00 a.m. – Tyray Munter was apprehended safely and without incident at 5:52 a.m. in Portland, Ore. by the Portland Police Bureau east precinct. Maksim Petrovskiy remains at large. 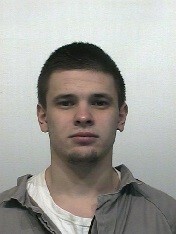 Please call 911 or the Department at (360) 374-6181 if sighted. Do not approach. GOLDENDALE – Washington State Department of Corrections and local law enforcement are searching for two inmates, Tyray Munter, 30, and Maksim Petrovskiy, 22, who escaped from the Goldendale Department of Natural Resources fire work crew (pdf) at approximately 2:35 a.m. on Tuesday, August 15, 2017. Correctional employees initiated an inmate recount and escape procedures at approximately 2:50 a.m. on August 15. The facility notified local and state law enforcement, Oregon State Patrol and activated Inmate Recovery Teams. Munter was convicted of assault 2 and theft 2 out of Snohomish County and began serving his 72 month sentence on June 28, 2016. His expected release date had been tentatively set for May 2, 2020. Petrovskiy was convicted of taking a motor vehicle without permission and possession of a stolen vehicle out of Snohomish County and began serving his 33 month sentence on April 18, 2017. His expected release date had been tentatively set for December 8, 2018. 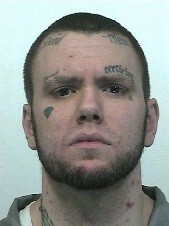 If you see either inmate, do not approach him and contact the Olympic Corrections Center at (360) 374-6181 or Call 911.